Microsoft has implemented product activation scheme named Office Protection Platformm (OPP) that similar with Windows Product Activation (WPA) and Software Protection Platform (SPP) for Windows Vista and Windows Activation Technologies (WAT) Windows 7 in Microsoft Office 2010, where all copy of Office 2010 installed has to be activated, with 30 days activation grace period. There is no more “workaround” to use volume edition of Office with volume license product key (VLK) to bypass requirement to activate Office productivity suite. Microsoft has released Office 2010 Technical Preview version to invited beta testers who registered for Office 2010 Technical Preview program. 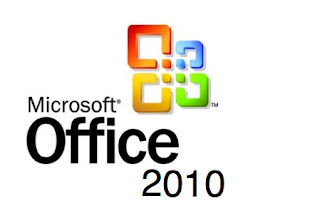 Several builds of Office 2010 such as Office 2010 Technical Preview and Office 2010 Mondo (Ultimate) Technical Preview have been leaked to Internet. The TP version of Office 2010 requires activation too. For people who is not accepted or invited into the official Office 2010 Technical Preview program, but has installed Office 2010, and been persistently warned that this copy of Microsoft Office is not activated with few days left to activate, Office 2010 (probably including the final RTM version when released) has built-in capability for user to rearm and extend the activation grace period for another additional 30 days for up to generous 5 (five) times, in a feature similar to Windows Vista rearm or Windows 7 rearm, allowing up to 180 days of free usage of Office 2010. Go to Control Panel -> Administrator Tools -> Services, or type services.msc in Start Search. Stop the Office Software Protection service. Where %SystemDrive% is normally C: or other drive letter that Windows is installed on. Note: Mostly the IDs are the same for similar Office 2010 installation. If your APP ID and/or SKU ID is different, please change accordingly. Note: “Close” command is import to stop the Office Software Protection service (which can also be stopped via Service.msc interface) after rearming and before reinitialize of license data (The activation countdown timer or license requires a service reinitialization or restart to update), or else “Unlicensed” license status with timer at 0 error may occur. dwGraceTime will show the remaining time available to use Office 2010 for free without activation. After one rearm of Office 2010, 4 rearms is still possible, to extend the free (evaluation or trial) free usage of Office 2010 to 180 days (6 months or half a year), taking into account the initial 30 days activation free period before first ream is performed.